Once the Stanley Cup playoffs start, the debate over whether the structural integrity of your face is more important than a goal no longer becomes a debate. There are only two options that players have: give up your face, or let your team down. Less than 15 minutes into Game 1 of the Sharks-Golden Knights series, San Jose’s Joe Pavelski did not let his team down. After a poor Vegas clearance helped the puck find its way to Brent Burns, the bearded Sharks defenseman launched a high wrister towards the net. 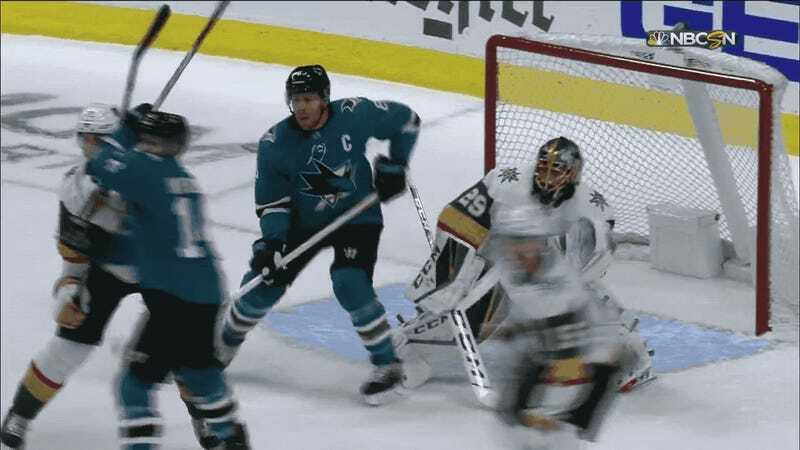 While the trajectory of the shot looked as though it would go over the crossbar, Pavelski, in an attempt to get in front of the shot and deflect it, had his face in perfect position to take the full force of the puck onto his chin. 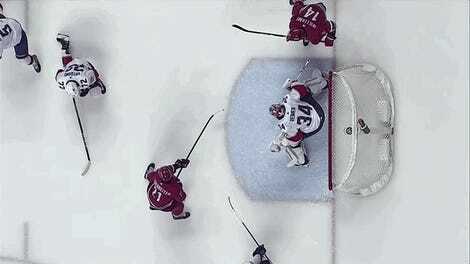 The puck changed direction and sailed over Marc-André Fleury’s head for the goal. 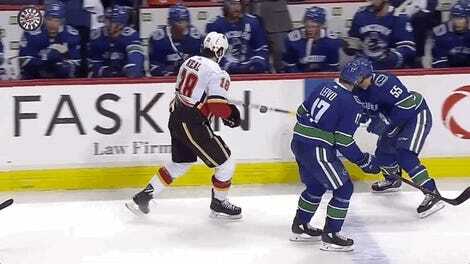 Pavelski understandably had to leave the game to get fixed up after the goal (he would later return). Arena crew members then took advantage of the TV break that followed to try and recover a couple things that the Sharks player had left behind. I’d like to extend a hearty congratulations to Pavelski who, from here on out, will forever be used as an example online when fans are fighting over which sport has the toughest players.